Everyone who uses a Mac has a user account. If you're the only person using your Mac, then there will only be one account. But if you share your Mac with other users — your family or coworkers, for example — your Mac will contain multiple user accounts. At least one of these is an administrator account, and that account is allowed to change any settings on the Mac. Others can be standard user accounts, who can change settings that affect some of what they do on the computer. You can also have accounts that are managed with parental controls; these are designed so your kids can use your computer safely. Finally, there are sharing only accounts, which you can create to allow users to access some files on your Mac over a network. In this article, I'm going to explain how to create user accounts, when and how to use each of these different types of accounts, and how to delete them when you don't need them any longer. When you set up a new Mac, you have to create a user account, and that first user account has to be an administrator account. The administrator is the person who can change any settings on the computer. If there were no administrator, then no one could, for example, set up other new user accounts as well as make other important changes to the way the computer works. 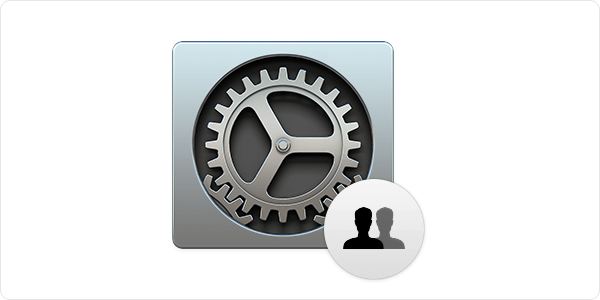 To see your existing user accounts, go to System Preferences > Users & Groups. This preference pane shows a list of existing user accounts, which you create new accounts, it also lets you set a number of login options. Start by looking at your own user account; it's at the top of the list under Current User. Click it and you'll see a number of options. On the Password tab, you can change your password if you wish (it's a good idea to do this every few months), and at the bottom of the pane, you can check Enable parental controls if you want to limit access to the current user. Of course, you probably don't want to do this to your user account, but you may be examining a Mac when someone else, such as one of your children, is the current user. The Login Items tab shows a list of apps that launch when you log into or start up this Mac. You can add apps to this list by dragging their icons to it, or by clicking the + icon and navigating to an app. Remove any apps by selecting them in the list and clicking the - icon. As I said above, administrators can change any settings on the Mac. You will have noticed when you first accessed the Users & Groups preference pane that it was locked. Only administrators can access locked preference panes; to do so, click the padlock at the bottom of the window then enter your administrator's password. Standard users are limited only in their ability to change certain settings and access system files. 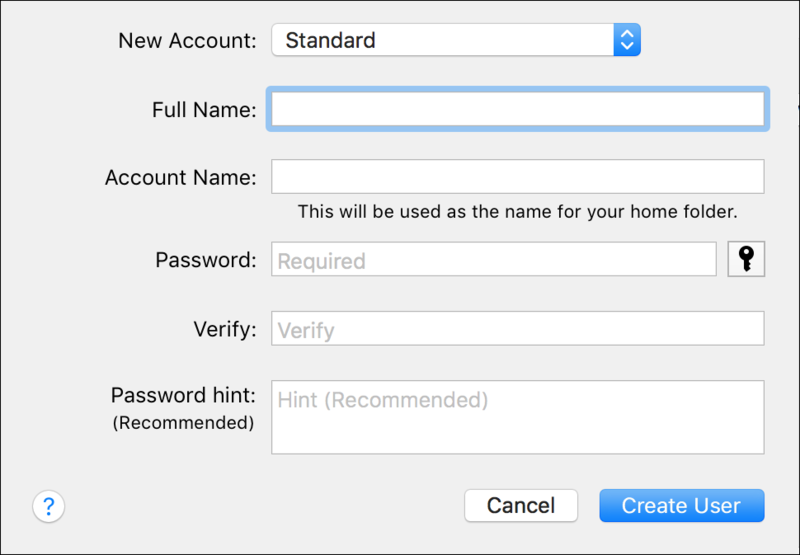 Otherwise, each standard user has full access to the files in their home folder — the one with the house icon and their username — and can change any settings in System Preferences that apply to their personal use of the Mac. To create a new standard user account, click the + icon below the list of users, and a sheet displays with Standard selected as the type of account. Enter the user's full name, then an account name — it's best that this is an abbreviated name — then enter a password and enter it again in the Verify field. If you wish to have a password hint, something to remind the user of their password in case they forget it, you can enter that as well. Click Create User, and the Mac will create a new account, and a new home folder, for that user. They will be able to log in and access their files. This type of account is designed for children. If you select Managed with Parental Controls from the New Account menu in the new account sheet, you will see a menu allowing you to select an age. You can choose the following: 4+, 9+, 12+, or 17+. Each of these ages correspond to built-in parental controls in apps like iTunes. A sharing only user account allows a user to access specific shared folders on your Mac. If you use your Mac for file sharing at home or at work, you may want to create accounts for users so they can access files on the computer but do nothing else. To do this, select Sharing Only from the New Account menu. Fill in the rest of the information as above, but to provide access to selected folders, you must then go to the Sharing preference pane in System Preferences. See this Apple support document for more information on file sharing. Finally, you will notice a Guest User listed in the Users & Groups preference pane. Select this user and check Allow guests to log in to this computer. You really don't want your friends to check their email on the web while in your user account, where they could potentially access a lot of your personal information or files. 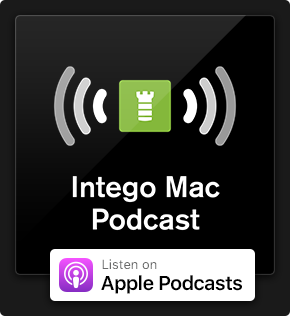 When the guest account feature is active, any guest to your home or your office can sit down at this Mac and click on Guest on the login screen to be able to use the computer. None of their files will be saved; when they log out everything will be deleted. But they can browse the web, even configure Mail to use their email account if they wish, send instant messages, and more. And unless you check the option to allow them to connect to shared folders, they will have no access to any of the files on the computer. While you may create accounts for users who will be accessing your Mac for a long time, you may also temporarily create an account for, for example, a friend who is staying with you for a week, or a temporary employee. When they no longer need access to this Mac, click their account in the user list, then click the - icon to delete it. Note that this deletes all files that they have saved in their home folder. 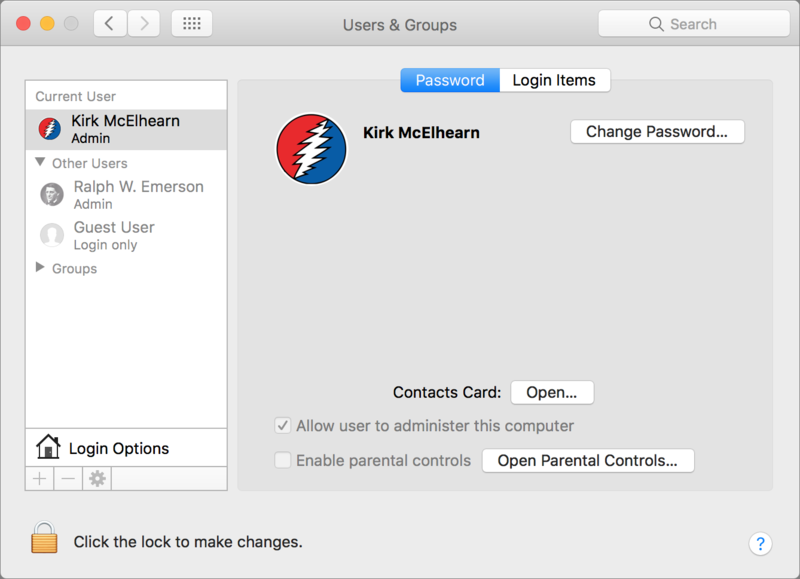 While most Mac users only have a single account on their computers, it can be useful to create additional accounts for friends, family, or coworkers. 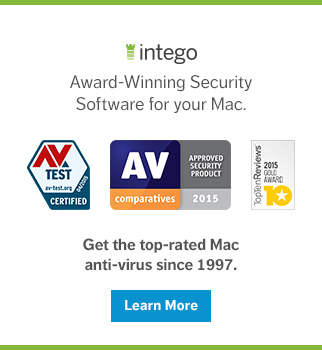 This is easy to do, and all of your files are secure even when another user works on your Mac. This entry was posted in Apple, How To and tagged macOS, parental controls, User Accounts. Bookmark the permalink.